Eskaton Village Grass Valley resident continues to show that despite being 90, life can be full of wonderful surprises. Standing at 6 feet 4 inches and considered a “gentle giant” most of his life, Zeke was told at age 64 that his heart was so bad he would not survive another 5 years. Well, survive and thrive he did, going on to defeat the odds another 26 years and counting. Another challenge hit when he had a stroke at age 80. Although needing to adjust to new challenges resulting from it, this too did not stop him. Zeke decided to take on the task of working within the stroke support community and created his own blog “Zeke Speaks” where he was able to use social media as a platform for his words of encouragement to help other stroke survivors and their caregivers. These physical challenges have taken a toll on his body and he is now seeing his days as being numbered. 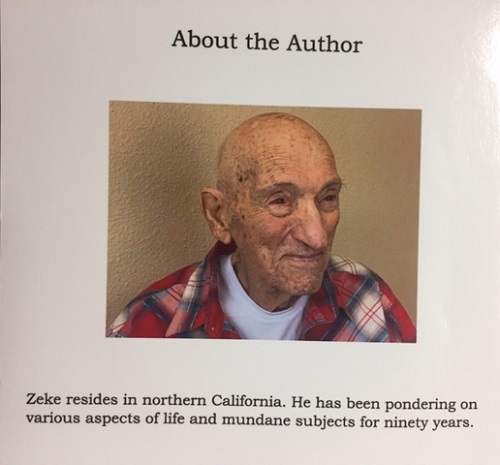 With a spirit bigger than his physical self and a sense of humor to match, Zeke and his wife Dee jokingly state, “No one is having more fun dying than he is.” In fact, instead of feeling sorry for himself, Zeke is spending his time living out a lifelong dream of becoming a published author. 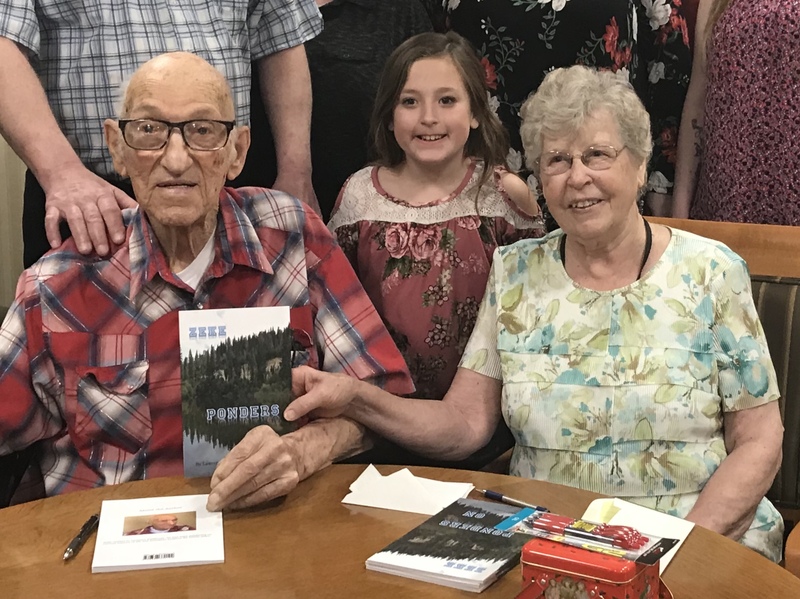 With the help of Hospice of the Foothills and the Dream Foundation, Zeke was surrounded by family last Saturday for an official book signing of “Zeke Ponders On," a collection of poems and short stories. Set up in the library at Eskaton Village Grass Valley with pen in hand and Dee by his side, Zeke was not sure what to expect. Imagine his surprise when he ran out of books within 90 minutes. A second order is expected to arrive soon, and already half of those are spoken for. Thank you Zeke for sharing your thoughts and insights for all to read. You demonstrate beautifully what living life to the fullest can be like and that no matter one’s age, or challenges, there can still be new opportunities, meaningful moments and joy in the journey. All the proceeds from the first print run will be donated to the Dream Foundation.